As we write the book Machine Learning in Practice (coming early in 2019), we’ll be posting draft excerpts and other thoughts on this blog. Let us know what you think, give us some claps if you like what you read, and follow @InfiniaML on Twitter for the latest updates! The 2018 Gartner Hype Cycle for Emerging Technologies is out. 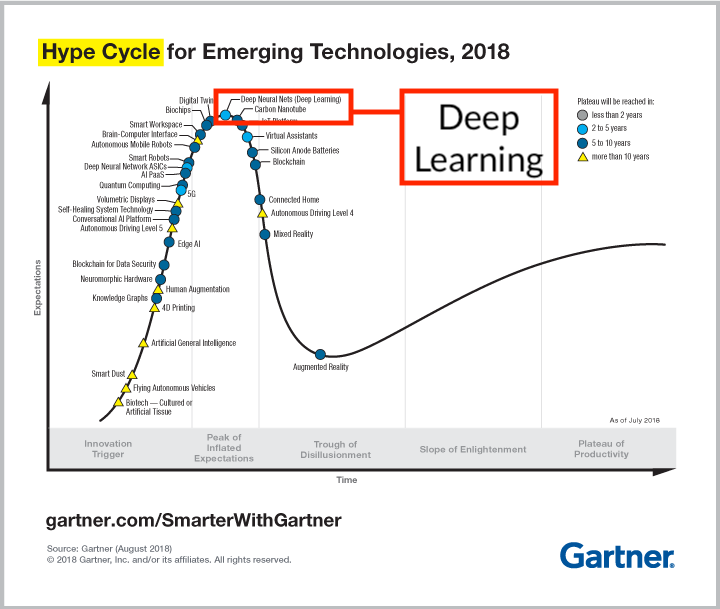 “Machine Learning” isn’t on the graph for the first time since 2014, but Deep Learning (a form of machine learning) is at the Peak of Inflated Expectations. Again. In fact, machine learning and/or deep learning have been at the peak since 2015, always marked as 2–5 years away from the Plateau of Productivity. 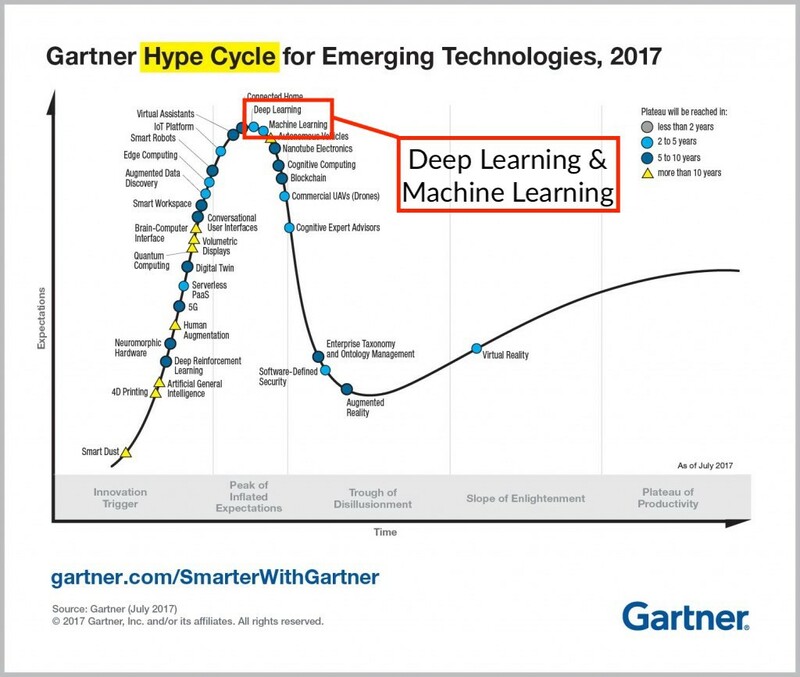 If you saw Gartner’s Hype Cycle in 2015 and waited to pursue machine learning when the excitement ‘inevitably’ waned, you are still waiting today — three years behind where you could have been. Perhaps this “permanent peak” shows the limits of the Hype Cycle itself. But it’s also an indication that machine learning/deep learning are here to stay. More evidence comes from an HFS Research report that I wrote about recently, in which 71% of data science decision makers across the Global 2000 said machine learning is not overhyped. 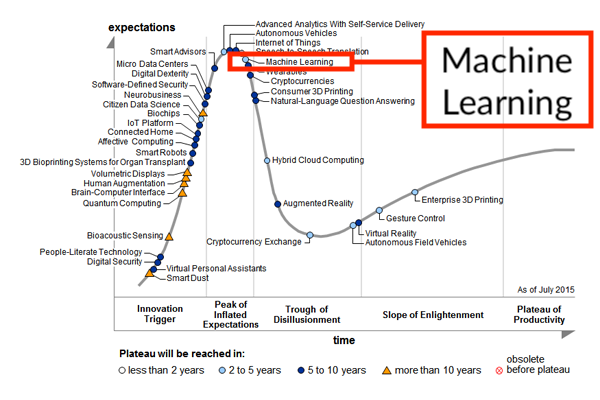 Machine Learning makes its apparent Hype Cycle debut slightly past the Peak of Inflated Expectations. Is it already trending toward the Trough of Disillusionment? 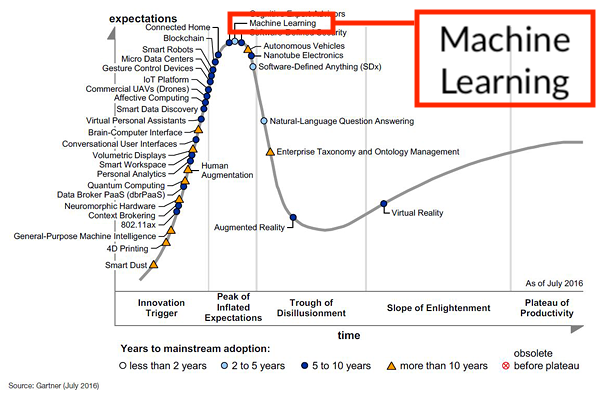 Machine Learning moves slightly backward to the very top of the peak. Definitely not a trough-trender. 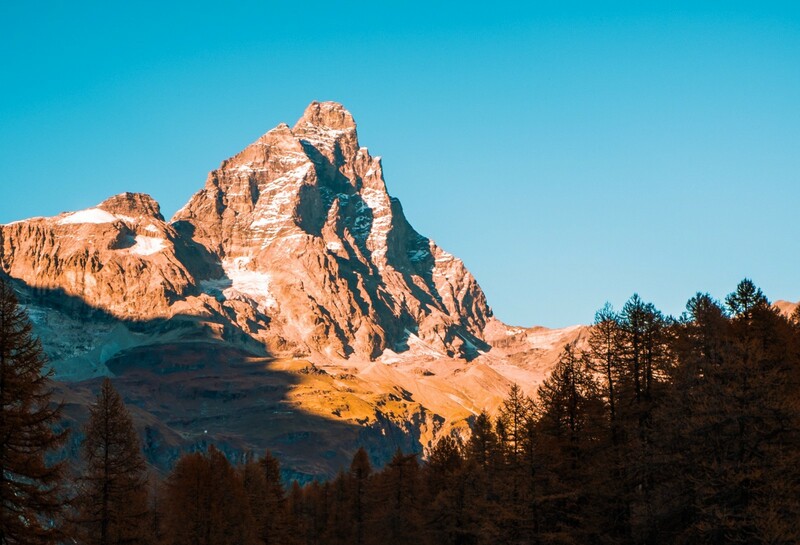 Deep Learning joins Machine Learning at the peak. Machine Learning may be off the chart, but Deep Learning still reigns supreme. Could deep learning still face the kind of sharp expectations correction that the Hype Cycle suggests? That seems hard to believe given the adoption of overall machine learning. 86% of respondents to the HFS Research survey believe the technology is making business impact in their industry today. What do you think about the Gartner Hype Cycle for Emerging Technologies? Is it worth the hype? Director of Marketing & Communications for Infinia ML, a machine learning company. Speaker from North Carolina to South Korea. Practical insights for executives, managers, and project managers eager to deploy machine learning inside their company.